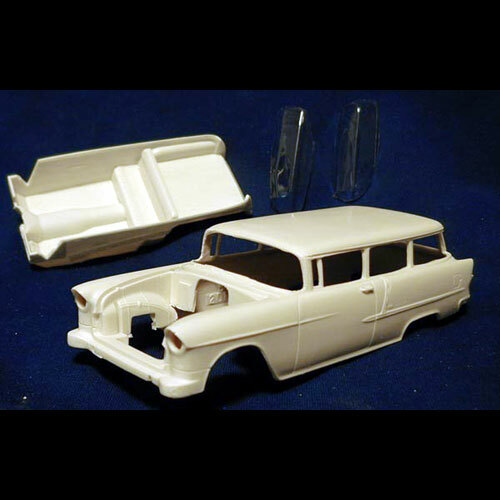 1955 Chevy Station Wagon by R&R Resin. One piece body with interior tub and vacuumform windshield. This resin model / body may require a Chevy model kit for donor parts to finish.